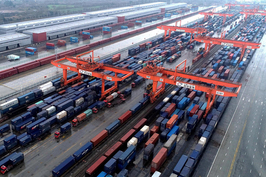 China’s goods exports grew at the fastest pace in five months in March, while imports declined, government data showed Friday. 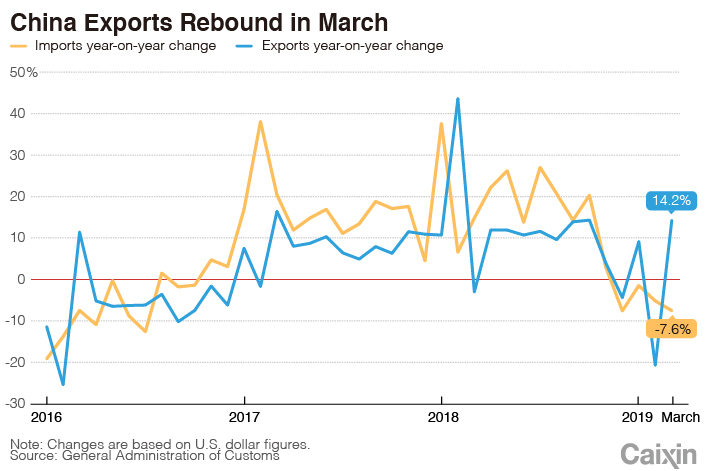 Exports of goods rose 14.2% year-on-year to $198.7 billion in March, according to data released by the General Administration of Customs. That compared with a 20.7% decline in February and was ahead of the median forecast of a 6.5% increase in a Bloomberg survey of economists. 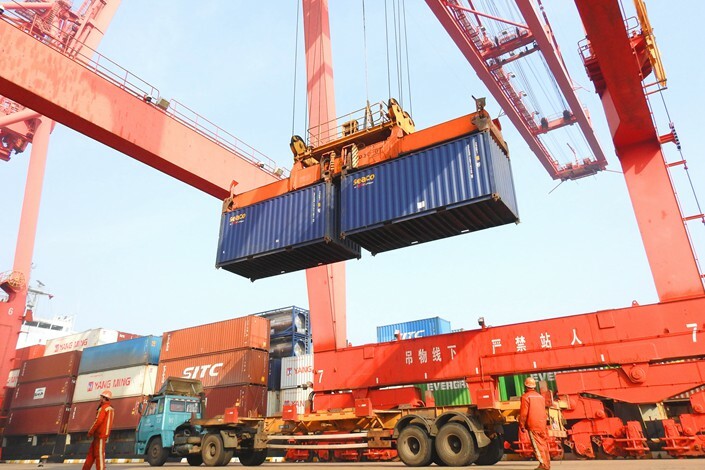 Exports’ strong performance was reflected in China’s manufacturing activity in March as the Caixin China General Manufacturing Purchasing Managers’ Index rose to an eight-month high, partly driven by increases in new orders and new export orders. Meanwhile, imports fell 7.6% year-on-year to $166 billion in March after a 5.2% slide in February. Imports missed the Bloomberg median forecast of a 0.2% increase. The trade surplus rose to $32.7 billion from February’s $4.1 billion. 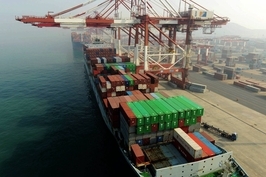 “Stronger-than-anticipated exports hint at an uptick in foreign demand but disappointing imports suggest that domestic demand may not be holding up as well as hoped,” Julian Evans-Pritchard, an economist with research firm Capital Economics. “Looking ahead, while import volumes are likely to remain subdued, they will probably recover somewhat in the near-term as policy stimulus helps to shore up demand and temporary drags from the electronics sector’s inventory cycle start to fade,” Evans-Pritchard said in a note. Julian Wang, an economist at HSBC Holdings PLC, holds a similar view. “The recovery was well-flagged, and largely due to seasonal factors related to the timing of the Chinese New Year holidays (in early February this year). Underlying trade growth remains quite soft,” she said in a note. She said imports might pick up in coming months as commodity prices have been recovering, but a soft global growth environment and weak trade cycle means overall growth could remain modest in 2019. Shipments to the U.S. rose to $31.8 billion, up 3.7% from a year earlier, compared with a 28.6% decline in the previous month. Imports from the U.S. declined 25.8% to $11.3 billion, while imports were down 26.1% in February. Imports from the U.S. have declined for seven straight months. 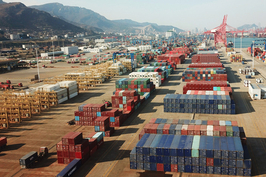 China’s goods trade surplus with the U.S. surged to $20.5 billion in March from $14.7 billion in February. “While a US-China trade deal looks increasingly within reach, the reversal of US tariffs would only provide a small boost to exports of around one to two per cent. With global growth set to remain weak in the coming quarters a strong rebound in exports therefore looks unlikely,” Evans-Pritchard said in a note. China and the U.S. concluded another round of trade talks on April 5 in Washington, led by Vice Premier Liu He, U.S. Trade Representative Robert Lighthizer and Treasury Secretary Steven Mnuchin. The two countries have achieved progress in drafting the text of an agreement, specifically on the thorny issues of intellectual property protection, forced technology transfer, nontariff measures, the services industry, agriculture, trade balance and an agreement implementation mechanism, Ministry of Commerce Spokesman Gao Feng said at a press conference (link in Chinese) Thursday.